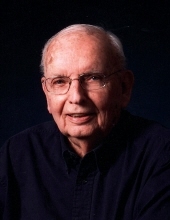 Donald F. Davis 97, of Marietta, OH passed away Tuesday, April 9, 2019 at Harmar Place in Marietta. Don was born June 15, 1921 in Marietta, OH to the late Dwight Albert and Clara Theis Davis. He was a WW II U.S. Army Air Corps. veteran and owned and operated Bergen Bros. Plumbing in Marietta. He was a member of St. Luke's Lutheran Church, American Legion Post #64, V.F.W. Post # 5108, a member of Plumbers & Pipefitters Local #168 where he was on the Joint Apprentice Committee for 20 years, past board member of Citizens National Bank as well as Central Trust Bank, past board member of the YMCA and past President of the Marietta Rotary Club and he was a member of the Apostle's Group. He is survived by his son Jeff Davis (Renee) of Marietta; two daughters, Donna Marks (Jack) of Fleming, OH, Susan Varner (Randall) of Marietta; five grandchildren, Shelly K. Marks of Chicago, Ill, Anna E. Huffman (Tanner), Kyle J. Davis (Christina), Evan A Davis (Lyndsay) all of Marietta and Dr. Allie K. Adams (Joshua) of Cincinnati, OH; five great grandchildren, Audrey and Rowan Huffman, Cooper,Scarlett and Mason Davis. In addition to his parents, he was preceded in death by his wife, Lois Belle Bergen Davis. Funeral Services will be held at 10:30 AM on Tuesday, April 16, 2019 at St. Luke's Lutheran Church, 401 Scammel St., Marietta, OH 45750 with Rev. Steve Mahaffey officiating. The family would like to give a special thanks to Dr. Brockett and the Harmar Place staff. In lieu of flowers, donations may be made to the Lois Bergen Davis Fund c/o the Marietta Community Foundation, 100 Putnam St., Marietta, OH 45750. To send flowers or a remembrance gift to the family of Donald F. Davis, please visit our Tribute Store. "Email Address" would like to share the life celebration of Donald F. Davis. Click on the "link" to go to share a favorite memory or leave a condolence message for the family.